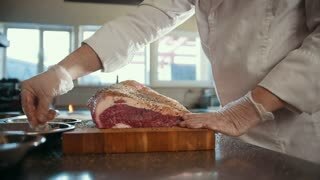 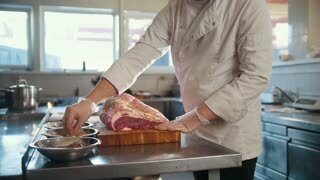 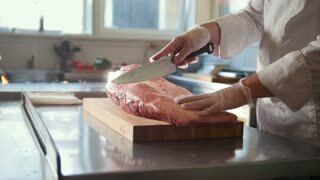 Man cutting meat with knife. 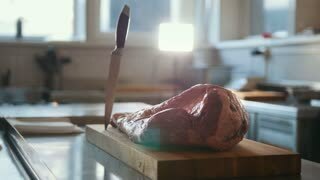 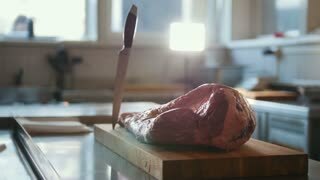 Meat lying on cooking board. 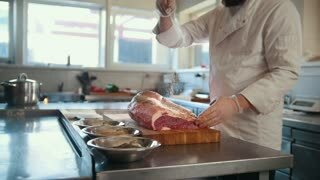 Preparation of veal in restaurant. 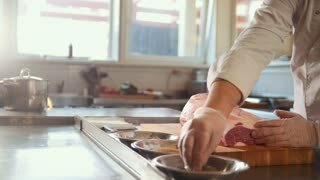 Busy morning of skillful chef.